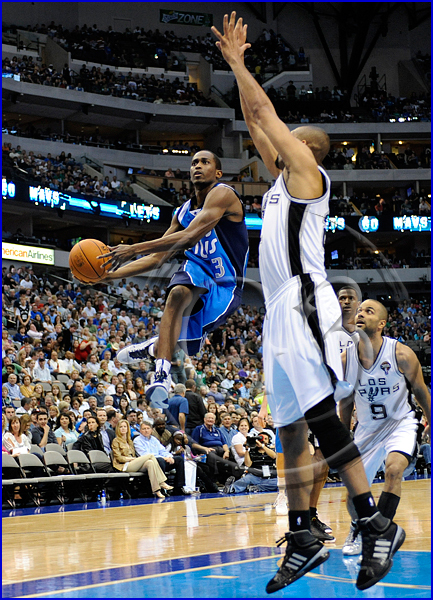 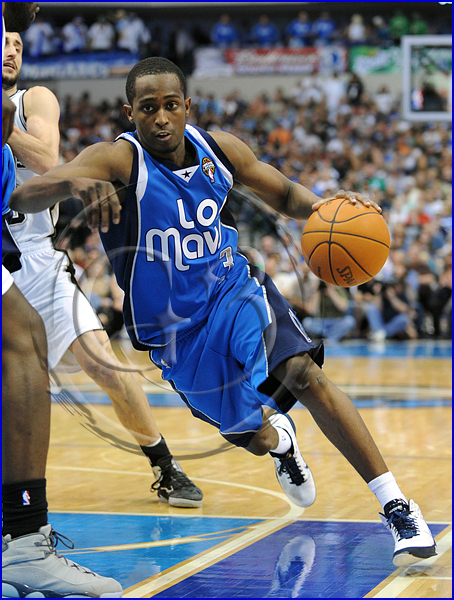 I could almost hear the theme to the Good, the Bad, and the Ugly as the Mavs and Spurs tipped off. 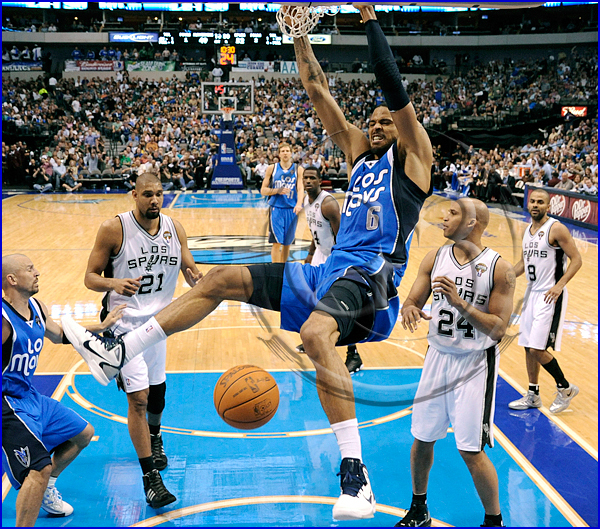 Too bad for the Mavs the Spurs looked more polished and ready for the upcoming postseason and their Big 3, Parker scored 33, Duncan scored 22, and Ginobli scored 25. 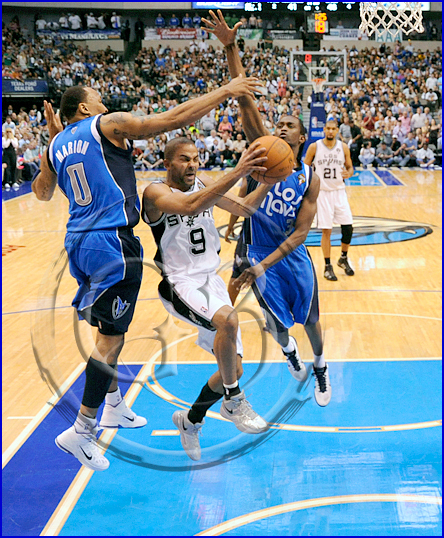 All 3 San Antonio stars were in good form for this Showdown. 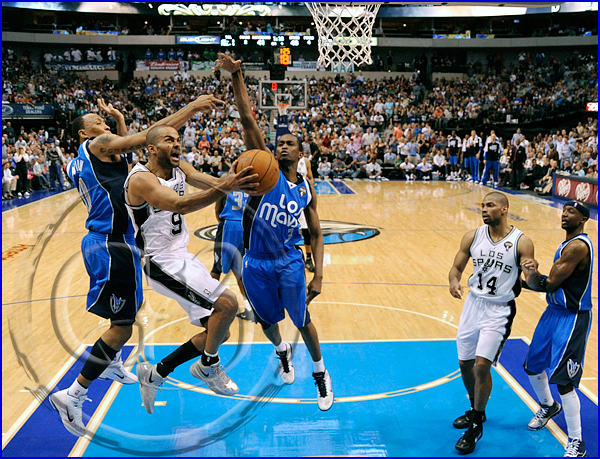 The Tony Parker Show…..Tony Parker (as you’ll see from my shots) just cut through the Dallas defense as he seemed to just moonwalk to the basket over and over. 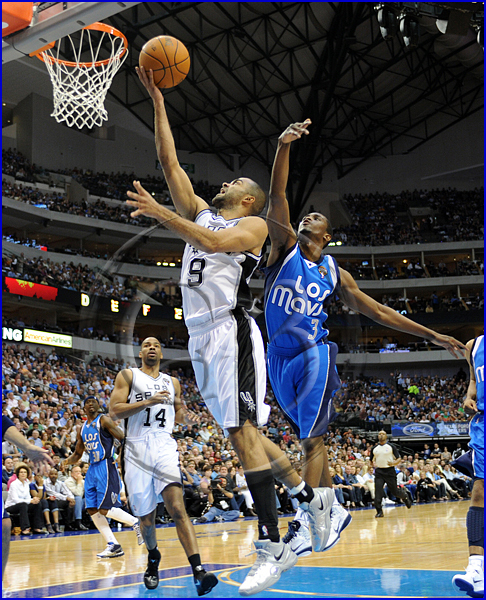 Dallas tried to make a late run but the Spurs held on to their lead to win 97-91 in Dallas. 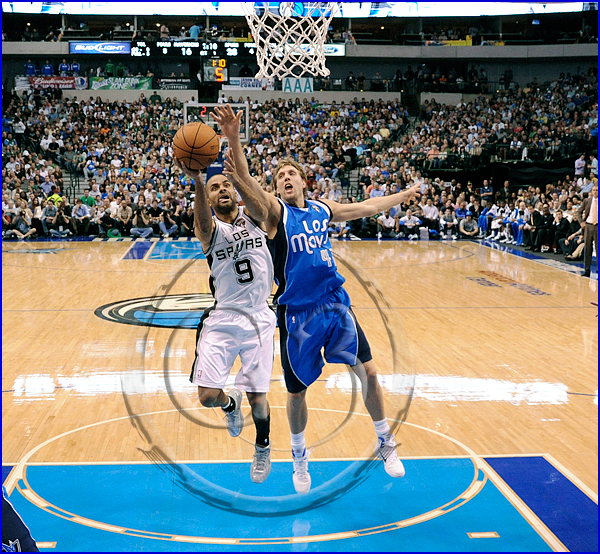 Here are some shots from my remote controlled camera I mount on the goal post. 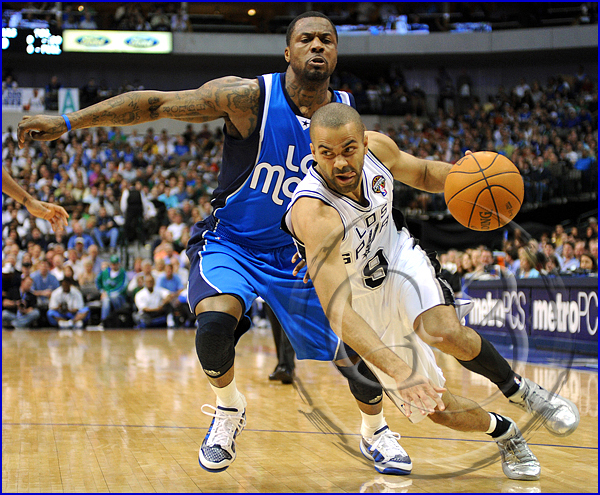 Another example of how San Antonio Spurs point guard Tony Parker #9 cut right through the Dallas defense.